Because things went bad in China, Utah gets Luminaria. 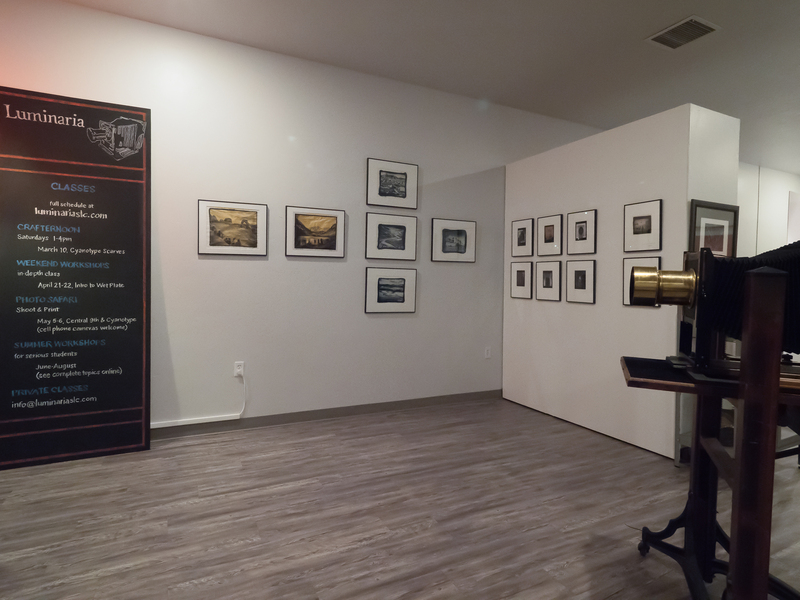 Brainchild of David Hyams and Christine Baczek, the state’s first alternative photography studio opened in Salt Lake City in February, after what one could call research and development work in mainland China. 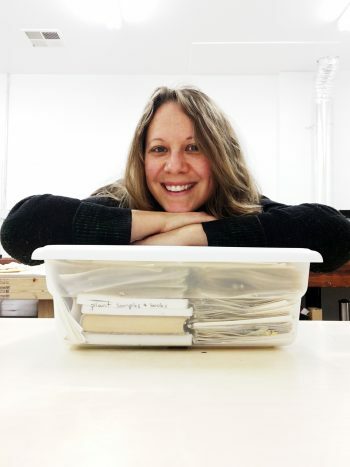 Christine Baczek with plant samples for her cyanotype prints. Frustrated, the pair stuck it out for a year before calling it quits, returning home with some ideas about what should and shouldn’t be done when creating an alternative photography studio. They also returned home to no darkroom — the basement studio Hyams had prior to leaving for China disappeared when they sold their house. They were considering what to do, and where to go, when Travis Tanner, of Tanner Frames, mentioned a retail space on his block that was becoming available. The price was right, so the pair jumped at the opportunity, abandoning ideas of relocating out-of-state. 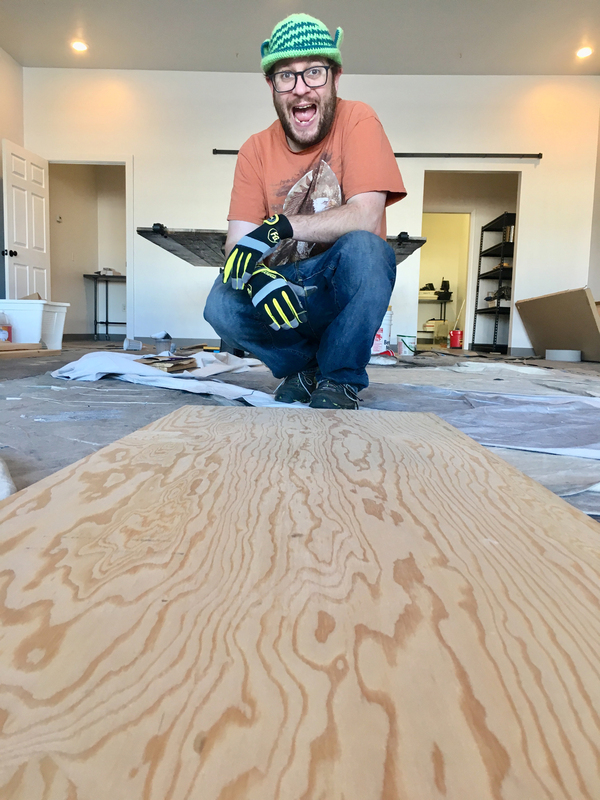 Dave Hyams working on the Luminaria space, 2017. And for their business model to succeed, Hyams doesn’t need to be in an expensive metropolitan area like New York or LA. 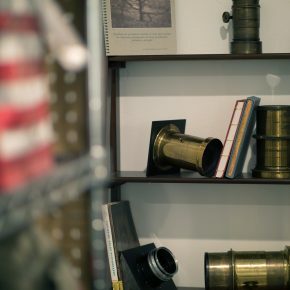 His custom printing services, which he previously operated out of his basement, allow him to work with digital images photographers from all over the world can send to him for printing. 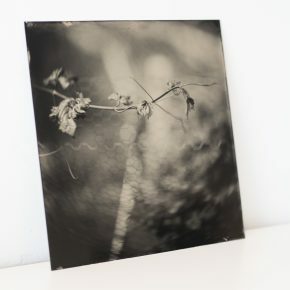 While most alternative processes require a large negative that you make with a large camera, Luminaria uses digital negatives for workshops and custom printing. These are perfected using imaging software like Photoshop, then the image is inverted, a tonal curve is applied and it is finally printed onto a semi-transparent substrate. 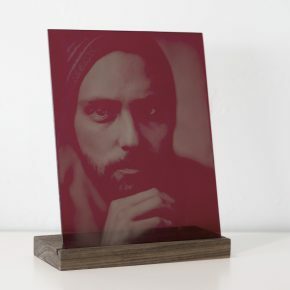 This large negative is placed directly onto light-sensitive paper, meaning negative and print are the same size. 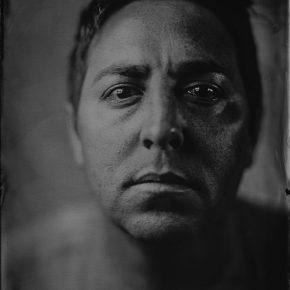 Luminaria also will be Salt Lake City’s first modern wet plate collodion portrait studio. 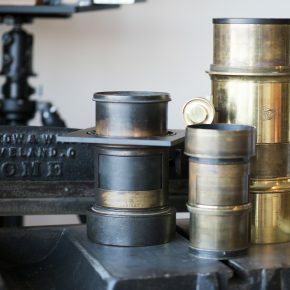 It’s a process first developed in the mid-19th century that results in a one-of-a-kind image and requires that all steps — from capture to a final image — happen while the plate accepting the photograph is wet. A sitting can take up to two hours, but results in a unique type of image that in recent years is experiencing a resurgence. This blend of the 21st and the 19th century is what Luminaria is all about. “We specialize in wet plate collodion and platinum palladium [which produces a highly durable print with a long scale of tonal values], but there are a dozen alternative processes we can teach and countless variations,” Hyams says. Some of these processes were invented as early as 1840. All this happens in an unassuming building on 800 South across from the recently closed Sears. 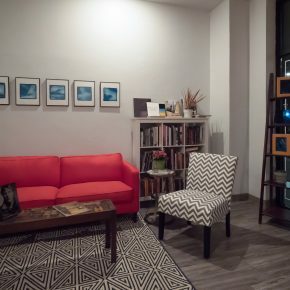 The 1,200-square-foot space includes a receiving area, complete with couch, lamps and books, and a small exhibition space. 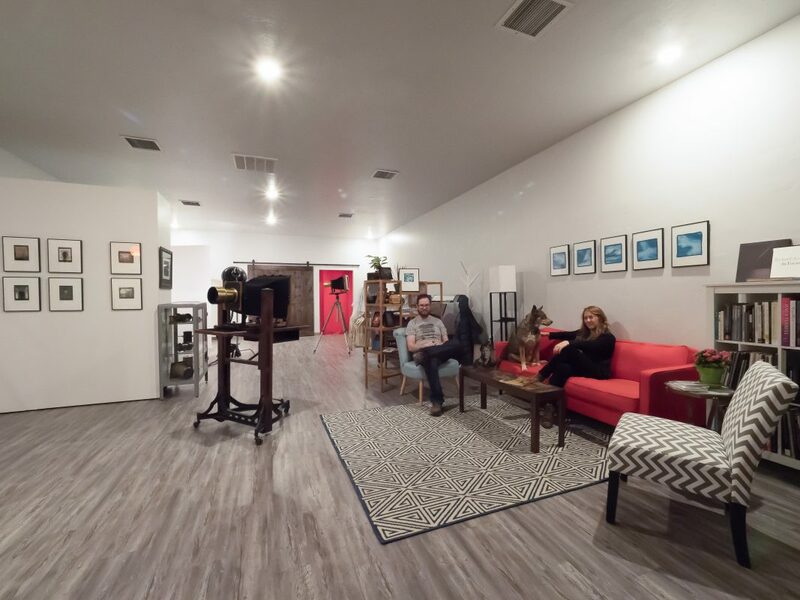 Just beyond, patrons can look at the studio space where portrait sittings take place. 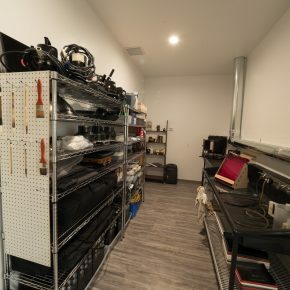 This includes a digital workspace and wet plate production area, while two further rooms in the back provide darkroom space. Versatility, Hyams says, is the key. 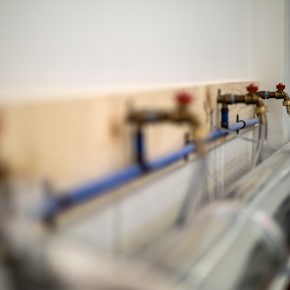 They’ll be busy adapting the space to hold workshops, allow open studio time, custom printing and their portrait sittings. They’re also set up for copy work — artists can bring their work into the studio before dropping it off to be framed next door at Tanner Frames. Both are eager to see what other people have to say with these processes. The official hours are Wednesday through Saturday, from 10 to 6, but for the first six months you’ll probably find Hyams in there every day. And unless there’s a portrait session going on, you’re welcome to stop in, see what the studio is about and talk photography and art. 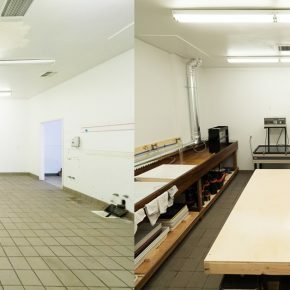 Luminaria will open its doors to the public on Feb. 10th, offering demos and tours of their darkrooms. For more information visit luminariaslc.com.